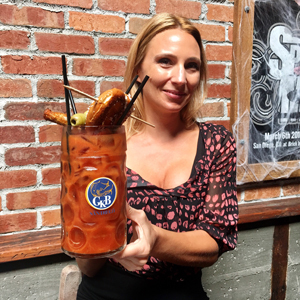 The Field Irish Pub has been serving the Gaslamp for 21 years! 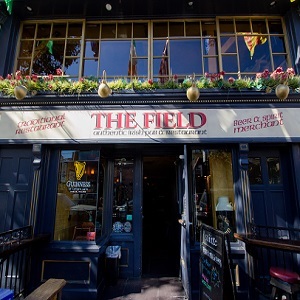 Whether you want to have a great pint of Guinness or enjoy Irish dancing and live music, The Field Irish Pub will give you an authentic Irish experience. Head to The Field Irish Pub to feel utterly transported to Ireland…because it was transported FROM Ireland! 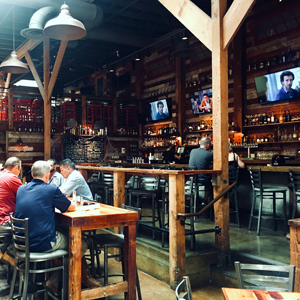 Owners Daniel and Enda Drayne shipped their entire pub, piece by piece, from their homeland, for a genuine bit of Ireland right here in downtown San Diego! 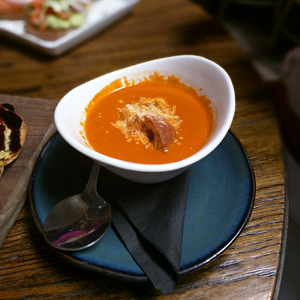 With Irish fare such as fish & chips and shepherd’s pie and live Irish music every night of the week, you’ll have to remind yourself you’re not in Dublin! The Draynes also incorporate Irish foreign exchange students into their staff to contribute to the authenticity of the restaurant and bar. 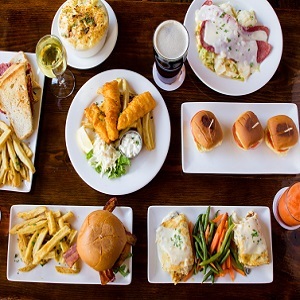 They feature breakfast, Lunch and Dinner complete with Irish staples like Banger and Eggs, Shepherds Pie, or a Ploughman’s Boxty to Burgers, and Sandwiches. 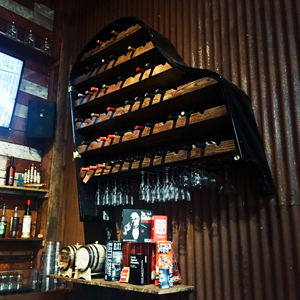 They feature many local craft beers from breweries such as Ballast Point, Half Door Brewing Company, Firestone, & Societe Brewing, and also Guinness, Harp Lager, Smithwicks Ale, Kilkenny Irish Ale and Bass. Of course you can mix the lot and enjoy a Black-n-Tan, a Snake Bite, a Beer Shandy or a Blacksmith. At the Field you can also enjoy lots of spirits and Irish Specialties as well. There are a lot of great events to enjoy throughout the year even when it’s not St. Patrick’s Day! 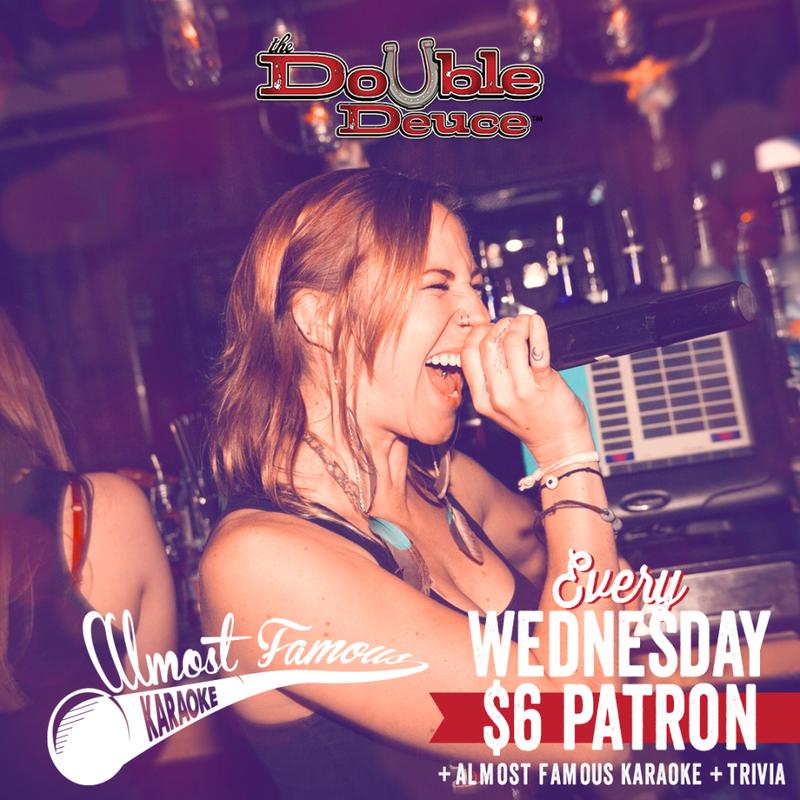 You can watch Irish dancers, enjoy live music, battle in a trivia Pub Quiz, cheer on the San Diego Padres and more! 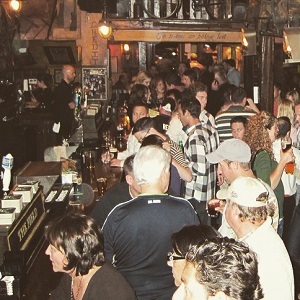 As they say in Ireland: Céad Míle Fáilte, a hundred thousand welcomes, to the Gaslamp Quarter this St. Patrick’s Day season and stop by The Field Irish Pub too! 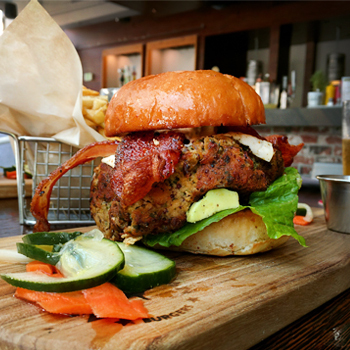 Located in the heart of San Diego’s Gaslamp Quarter, All American Burgers brings you scrumptious hand-crafted grass fed burgers and specially selected Californian craft beer. 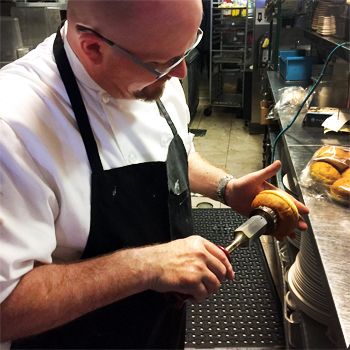 Chef Tom makes sure to get your taste-buds in shape for a treat, where guests can enjoy professionally paired beer and burger combinations! Alex and Erin from the GQA staff enjoyed our lunch at the All American Burgers! 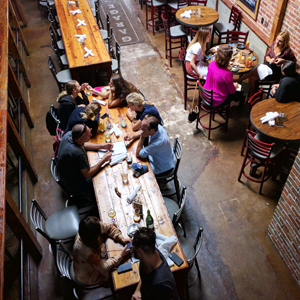 The beautiful patio outside, and casually, rustic ambiance inside made it inviting for lunch! 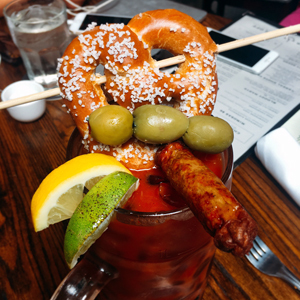 Brunch on Saturdays and Sundays and Dinner every day of the week is served as well. Erin enjoyed the “Mushroom & Swiss” Burger. 1/3 lb. 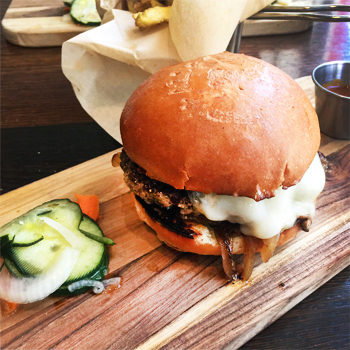 grass fed American beef grilled mushrooms, Swiss cheese, onion jam, house make sauce, served on a branded brioche bun. (on the menu it paired the burger with, “tastes great with a stout”). Alex and Erin shared the hand cut fries which were double cooked potatoes tossed with kosher salt, parsley, Parmesan and tossed in duck fat truffle oil! 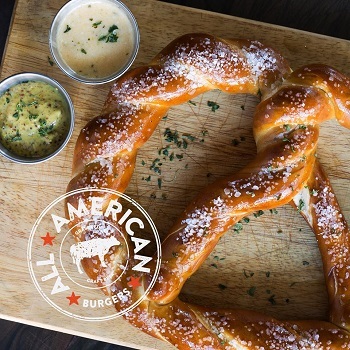 You could also choose “sweet potato fries”, “pale ale beer battered onion rings” or the “loaded fries” that have grass fed American beef, peppers, sauteed mushrooms, grilled onion, and pale ale cheese sauce. Chef Tom has traveled the world when in the military and learned about every type of cuisine. He has always had a love of food! He created his 1st dish when he was 6 years old, he made the mashed potatoes at Thanksgiving dinner. The restaurant kitchen serves as a prep kitchen and Chef Tom is the Culinary Director of 2 different restaurants in the Gaslamp Quarter. Toscana and All American Burgers. 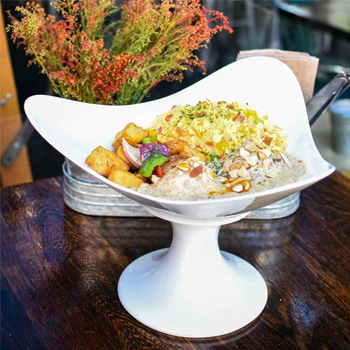 Make a reservation for brunch where you can get specialty pancakes and waffles, creative egg scrambles, “from the nest” along with delicious egg benedicts. 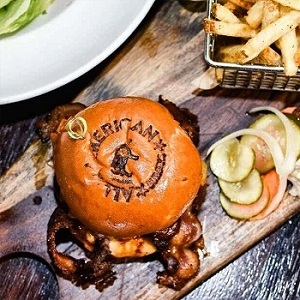 GARAGE’s menu is focused on great eclectic American food with European and nouveau influences priced from $7- $22. 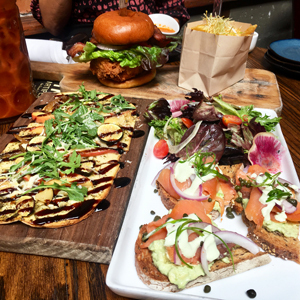 Alex ordered the avocado and lox toast with smoked salmon, avocado spread, caramelized onion toast, sour cream and garnished with a side salad filled with crisp, bright colored veggies! 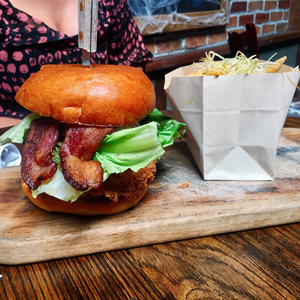 Sherry enjoyed the fried chicken sandwich, which had a perfectly cooked chicken breast fried with a spicy homemade batter, and garnished with jalapeno bacon, lettuce, sriracha, and tomatoes on a toasted brioche bun served with crispy fries. Erin ordered the gorgonzola and fig flatbread. The crispy flatbread had butternut squash, caramelized onions, arugula and a balsamic glaze drizzled beautifully over the top. The GQA staff also got to try one of their popular dishes, the Ahi tartare “nachos”. Crispy wonton crisps, an edamame puree, avocado, sriracha aioli, pico de gallo and of course a fresh Ahi poke generously sprinkled around the dish, making this a favorite for all guests! 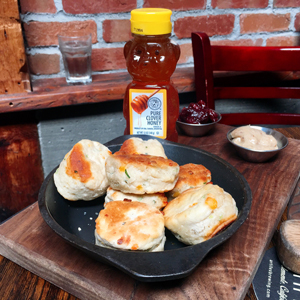 We also shared a plate of their homemade cheddar and chive mini biscuits with roasted pear honey almond butter, and house preserves…delicious! While we were enjoying our food, Executive Chef, Brent Hersant, talked to us about his love of local sustainable ingredients, and how when he arrived years ago to the restaurant, he completely redesigned the kitchen and reinvented the menu to get away from the “regular bar, fried, food.” Brent says, “My goal was to cook good, approachable modern food at a fair price.” All of the food is extremely reasonably priced, with fresh local ingredients and a menu that has something for everyone! Don’t Forget the Fun Cocktails! Cocktails are also crafted with fresh seasonal ingredients and the beer selection offers a wide selection of craft beers. 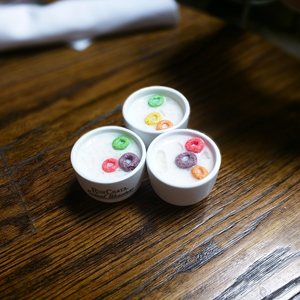 Whether it is the cereal shots made with everyone’s favorite Saturday morning cartoon fare, like Fruit Loops, or Apple Jacks, or a giant 32 oz bloody mary in a German beer stein, the GARAGE Kitchen + Bar is the place to go to get great eats and sips. 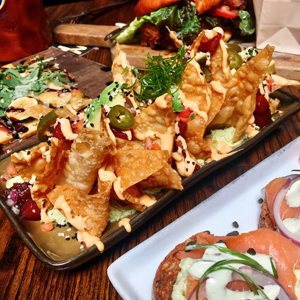 In fact, you can get 51% off the appetizer menu during their happy hour every night of the week! Don’t forget, The Shout! House is right next door too! 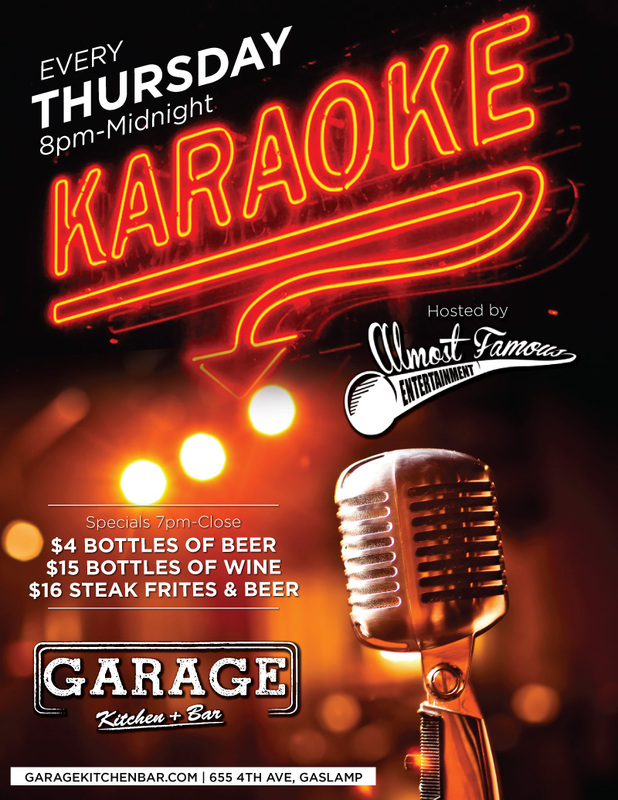 This amazing entertainment venue connects to the GARAGE Kitchen + Bar and has their award winning Dueling Piano shows as well as live music every night! We’re teaming up with Recording Artists Against Drunk Driving, Coca-Cola, and Lyft to reduce drunk driving in the center of San Diego’s nightlife scene. 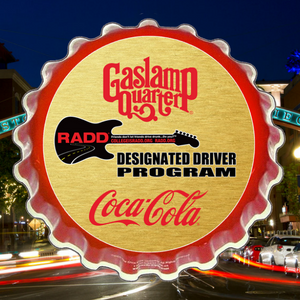 The Gaslamp Quarter Designated Driver Program encourages residents and the 10 million annual visitors to the historic Gaslamp to plan a safe ride home in advance,designate a driver, or take a Lyft. 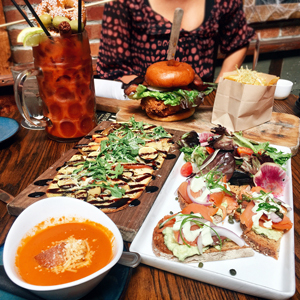 In addition to providing pre-planning resources, majority of Gaslamp Quarter establishments are rewarding designated drivers with special offers. Specials will vary by location. 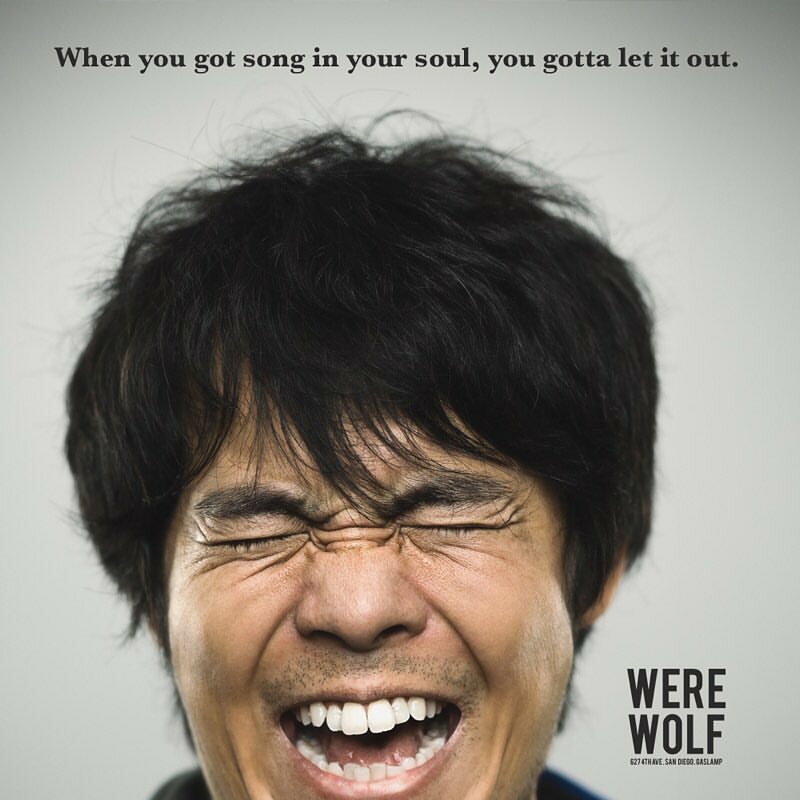 Ready to sing your heart out?! 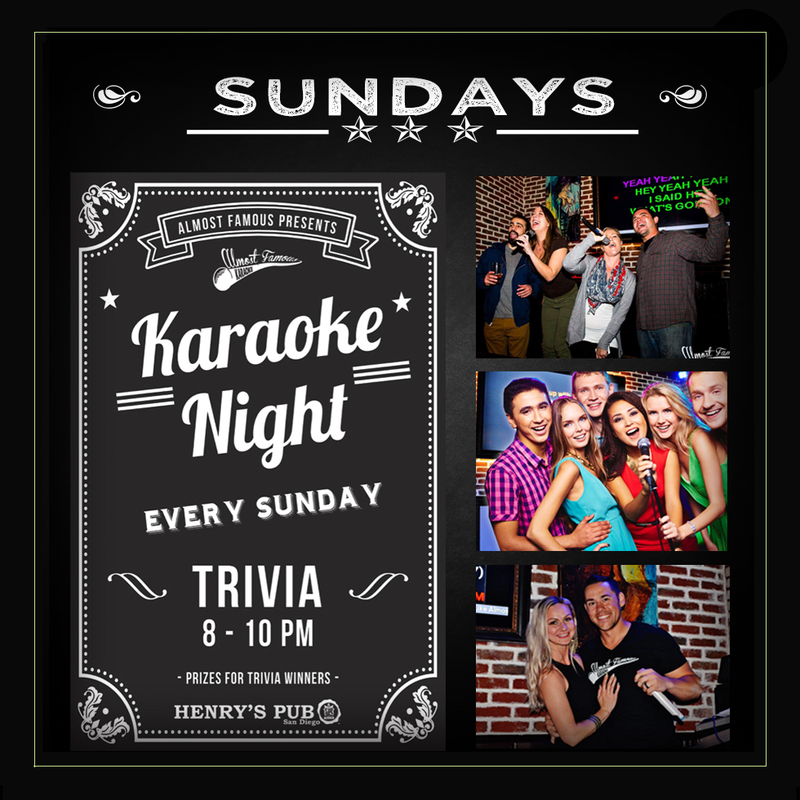 All the exciting karaoke action is in Downtown San Diego! 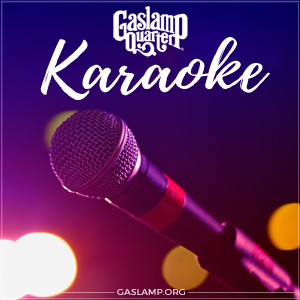 Come out to the Gaslamp Quarter for some karaoke 7 days a week. Attention F&B industry professionals if you can sing, dance, play an instrument. or like to drink this is your night! Jump on the Tin Roof stage and show us your skills. Also all industry get 50% off your entire tab all night. Want to sign up in advance? 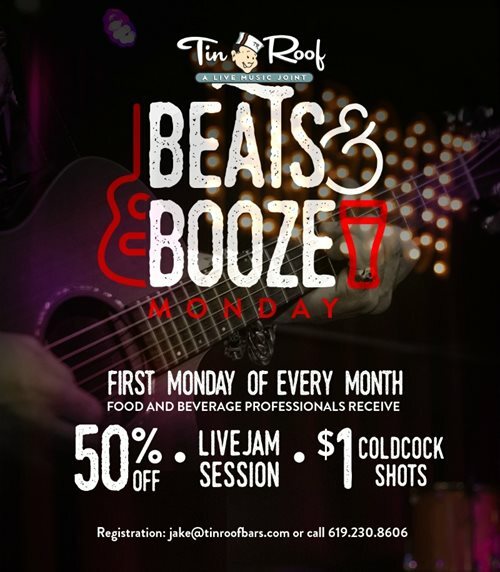 Email Jake@tinroofbars.com with your song of choice below along with your choice of instrument or singing. Please include preferred key and your contact email. Include any back up songs & instruments if you would like just in case someone else signs up first, or we can fit you in for more than one song! The more the merrier! 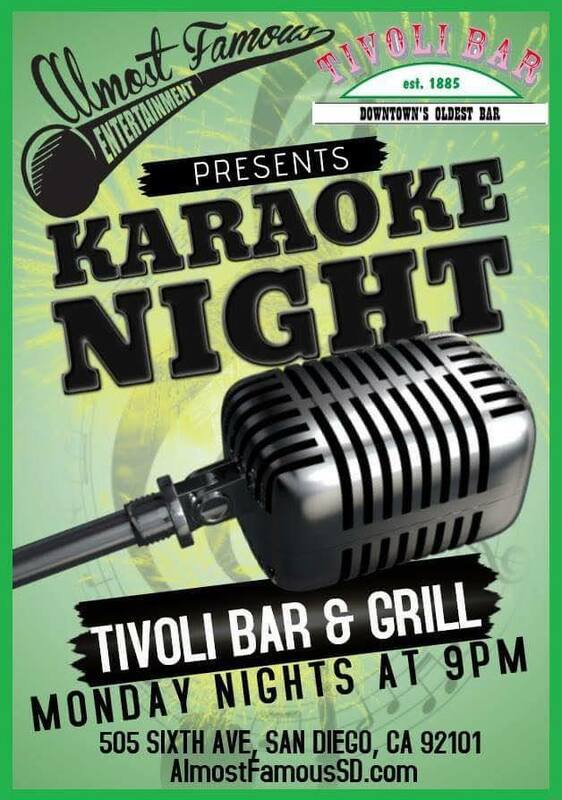 Sing karaoke at Tivoli Bar & Grill every Monday night! 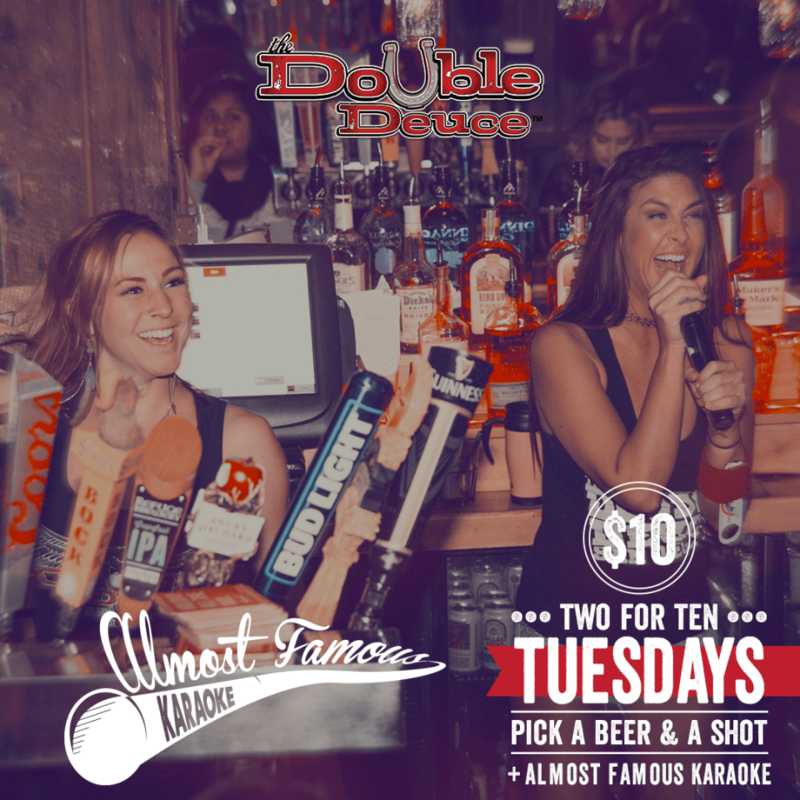 Karaoke every Thursday 8pm – Midnight. Specials 7pm – Close: $4 bottles of beer, $15 bottles of wine and $16 steak frites & beer. 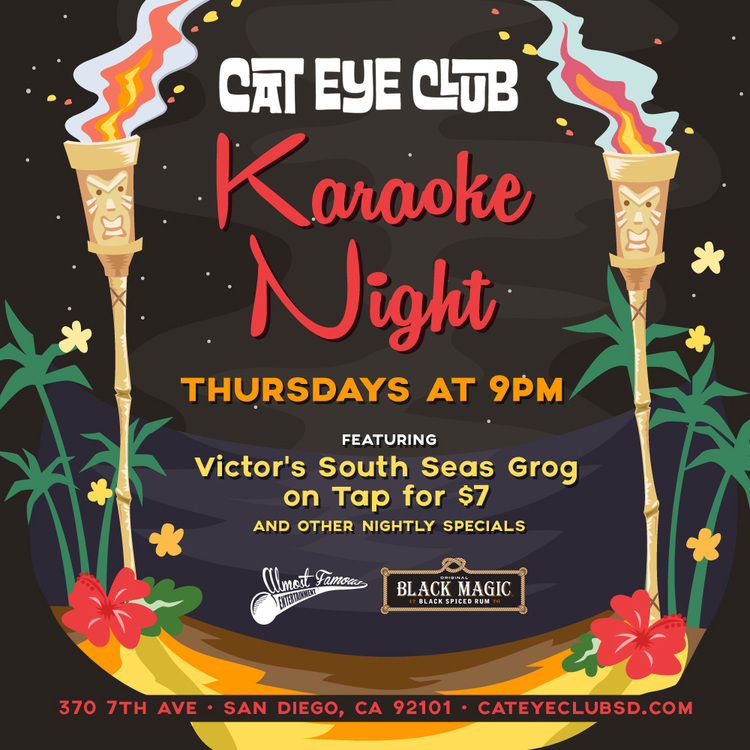 Cool Cat Karaoke Thursdays starting at 9PM featuring Victor’s South Seas Grog on Tap for $7 and other nightly specials. 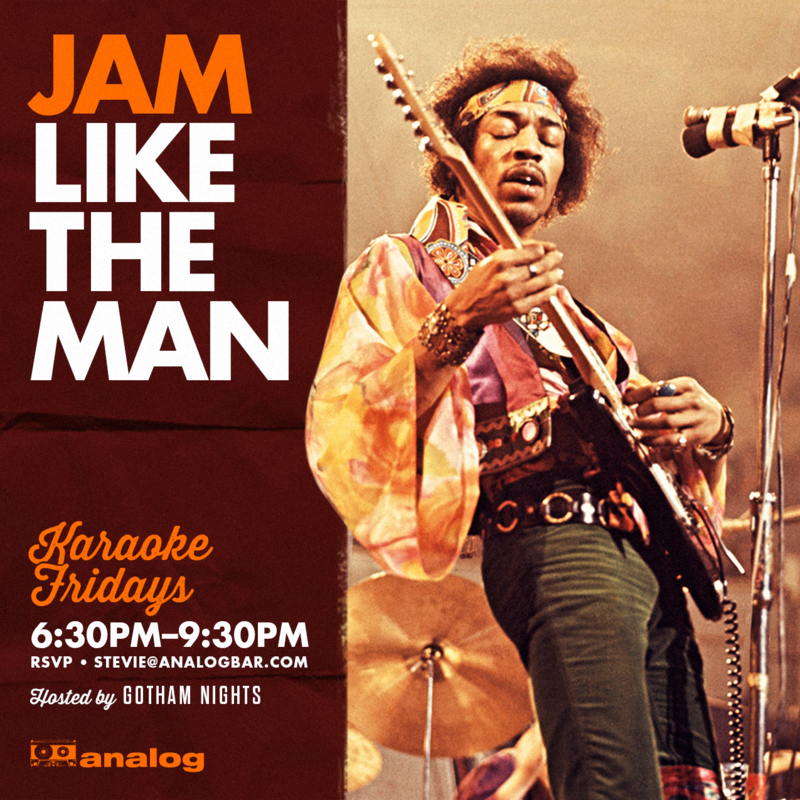 Everyone’s a rock star when it comes to Analog’s Karaoke Fridays. Get in front of that mic and tear the roof off. 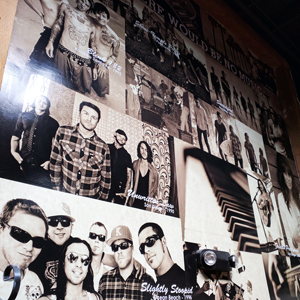 From Wayne Newton to Lil Wayne there is something for everyone. Let everyone at the office know who the real boss is when it comes to the stage.